London, England – February 26, 2018– PlayWorks announced today that it has launched Yeti Getaway, its first game for Facebook Instant Games, the new games offering within Facebook Messenger. Yeti Getaway is an endless runner built for instant messaging apps. Players can run against a single friend or a group of friends in “group challenges” thereby creating a game within a game. More than 1.3 billion Facebook Messenger users now have access to the lovable berry-grabbing Yeti on their desktop or mobile phones. 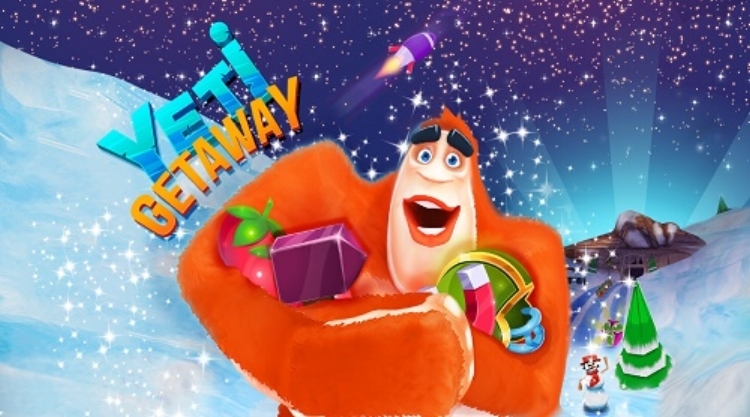 Yeti Getaway is the first in a series of instant messaging games being launched by PlayWorks in the coming months. Learn more about PlayWorks by visiting us at http://play.works. PlayWorks is a category defining instant messaging games company, focused on the biggest revolution in the games sector since the advent of the smart phone. The huge growth in platforms such as Facebook Messenger, WeChat, Apple iMessage and WhatsApp and their universal adoption of games has created the world's largest gaming platform with over 3 BN potential monthly users. With partnerships in place with Facebook, Samsung, Comcast LG and many others, and a massive catalog of live games, PlayWorks is a trusted leader at the forefront of this new revolution. Led by an exceptional team of gaming industry veterans who have successfully created and sold numerous games companies PlayWorks is capitalizing on the changing landscape in the lucrative games market.